“Into the Forest” opens Friday at AMC Desert Star in Baraboo. (It’s also available on several streaming outlets, including Vudu and iTunes). R, 1:41, three and a half stars out of four. “Into the Forest” is a post-apocalyptic disaster movie without a single visual effect. No explosions, no zombies, no mobs rioting in the streets. There’s just quiet, and dark. Canadian filmmaker Patricia Rozema (“Mansfield Park”) keeps her apocalypse focused on two characters, and how having the world fall apart around them changes their relationship. It makes for a masterful, intimate and chillingly plausible film. 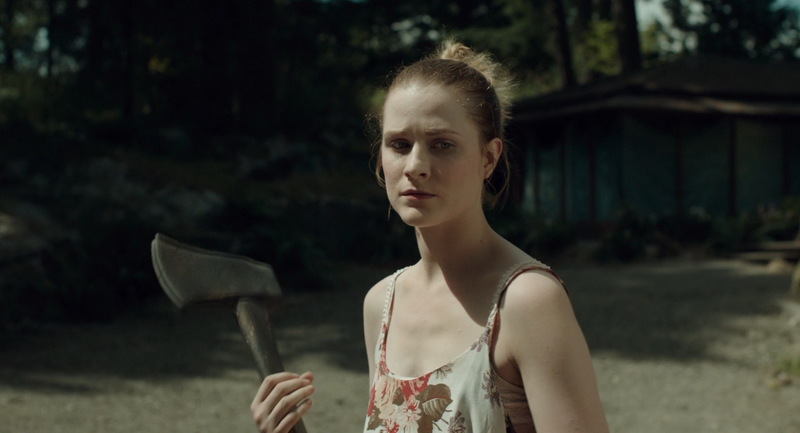 Sisters Nell (Ellen Page) and Eva (Rachel Evan Wood) are living in the Canadian woods in a cabin (well, a rustic mansion, really) with their widowed father (Callum Keith Rennie). Life is good and plentiful, and Rozema gives us scenes of mundane idyll – Eva working on her dance routine in the studio, Nell studying for the bar exam, Dad watching TV while reading on his tablet. Then the lights go out. Everywhere. A national, perhaps even global, power outage hits. At first, like in a usual power outage, people treat it as something between an inconvenience and an adventure, lighting candles and snuggling up. But as the days go by and power isn’t restored, and rumors began spreading that it’s a terrorist attack or some other catastrophe, society starts to fray at the edges. At their self-sufficient mountain cabin, with its own generator and water filtration system, the family is about as well-positioned relatively speaking as they could be. But as days without electricity becomes weeks, then months, and the sisters are left abandoned in a tragic accident, they have to come to terms with the idea that this is the new normal. We get glimpses of the outside world – Nell’s new boyfriend (Max Minghella) has heard power is back on Boston, and implores her to come with him cross-country. Other men in town have grown desperate from fear and hunger, and they’re armed. But mostly, “Into the Forest” focuses on the two sisters, how they will survive together on their own. Do they try and live in the house, as much like their old lives as they can, in the hopes that power will someday be restored? Or is it that way of life gone forever, and it’s time to turn their backs on it. The film is called “Into the Forest,” but the central theme here is how much of the forest the sisters will let into themselves. Page and Wood both give fully-developed, empathetic performances, and the push-and-pull of their sibling relationship seems utterly believable. It’s crucial for the audience to see this new world through their eyes, believe that we would make the same mistakes and decisions that they do. There’s an air of menace in this new world, but also one of wonder, and we can’t help but wonder – would it really be so bad to have the lights go out? “Into the Forest” is a thoughtful and moving film, a fresh take on what seems like an overly familiar genre. And if it motivates us to turn off the lights when leaving a room, so much the better.